When I was a child, I loved the work of Cicely Mary Barker who did wonderful illustrations of fairies and is now quite the commercial enterprise thanks to Penguin. When I was reading them, of course, they weren’t as big as they are now. She died in 1973. My neighbor had an address book with an illustration for each letter (all 26) and I remember being enchanted by them as a child. Now, I confess I am well aware that actual fairy folklore is considerably darker then the short of cute little flower fairy which the Victorian’s brought us, but the flower ones are easier to draw. What does a Banshee wear anyway? Well… that might be a question to answer at Halloween. And have I mentioned there’s a poll? Thank you, Eve. She’s one of my favorites, also. As much as I have favorites. That almost me, if I were a cute fairy that is. I love purple! 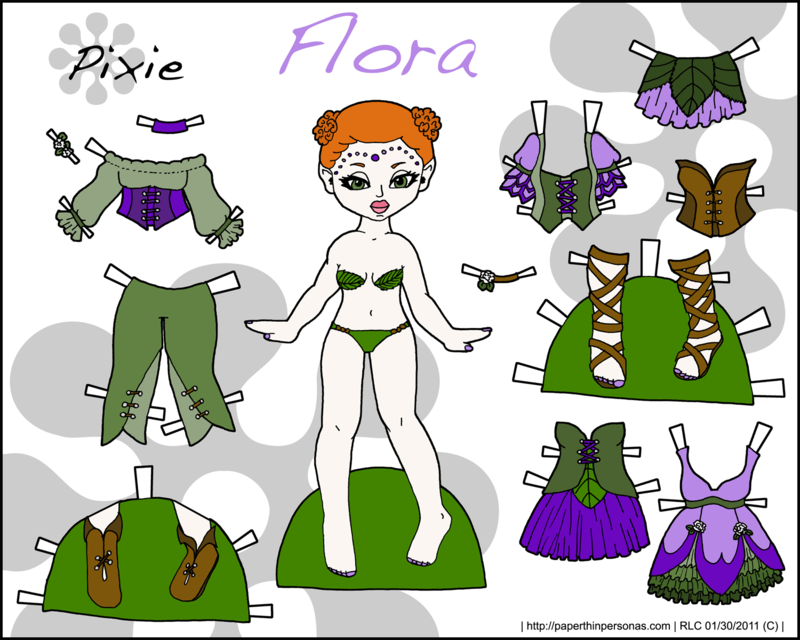 I love drawing clothes for paper dolls but Im not that good at drawing the actual doll! I wish I could, then I’b be blogging about paper dolls also!